LIVE THE QUIET COUNTRY LIFE IN THIS CHIC AND RUSTIC THREE BEDROOM, TWO BATHROOM HOME! This home is perfect for the buyer who wants to live in the country, but wants to be only minutes from the city. Features of the home include a spacious living room with built in shelving and fireplace, a trendy kitchen with plenty of cabinet space, a full inside utility room with washtub, two large guest bedrooms, and a master suite complete with a full bathroom attached. A rocking chair and a glass of sweet tea would be perfect for the grand front porch and family or pets will love the time spent in the fenced in back yard. There won't be anything to hear except the cows in the near pasture and the wind blowing through the trees. 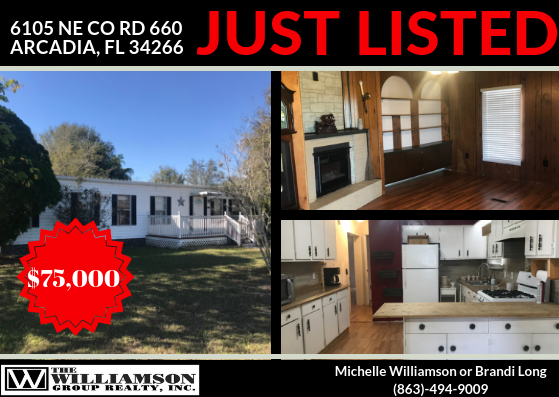 Located minutes from local shopping, restaurants and schools, this property is perfectly priced and ready for it's new owner!